You are invited to join us for a festival of Advent Lessons and Carols as we prepare for the birth of Christ. 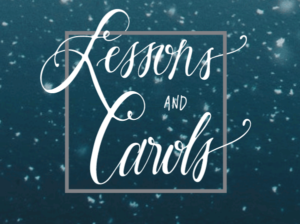 The Festival of Lessons and Carols for Advent is designed to portray moving from darkness into light as the world at Christmas moves from darkness into the light of the Incarnation of the Word (“and the Word became flesh and dwelt among us”). 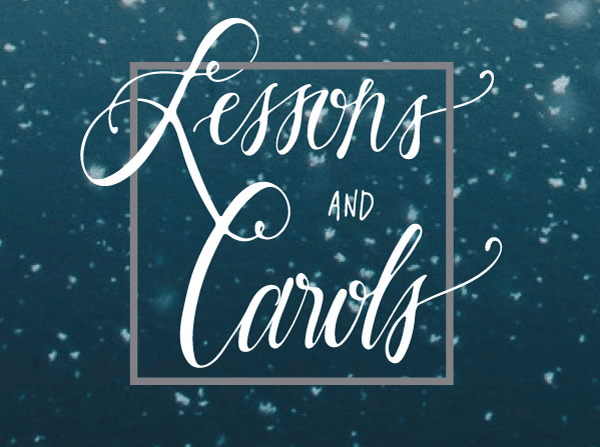 If you are able, please bring a potluck dish to share as we join together for fellowship in the Lower Hall following the Lessons and Carols service. All are welcome. You can help! If you are available to help with set up or clean up for the potluck, please see the sign up sheets in the Lower Hall. Thank you!